Jacqueline Ades Phoenix, Arizona stalker is also a preferred hawt bixch. Image via social media. 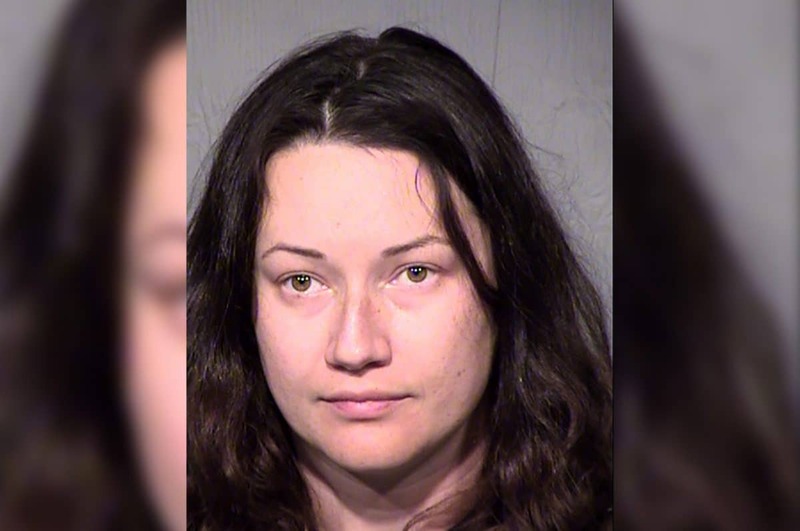 ‘I’m in love’: Jacqueline Ades Phoenix female stalker arrested after relentlessly pursuing a man she met on a single date along with leaving threatening messages. Also making her dizzy tabloid debut is consummate dating stalker, Phoenix, Arizona woman, Jacqueline Ades who has found herself in jail after relentlessly pursuing a man she met on a single date. The woman’s jail stint follows the 31 year old ‘romantic’ sending her purported love interest no less than 65,000 texts over the course of one year after having just met the man once along with recently breaking into his home to take a bath. Upon her arrest on Tuesday, Ades was booked on felony charges of threatening and intimidating, stalking and harassment – a misdemeanor. 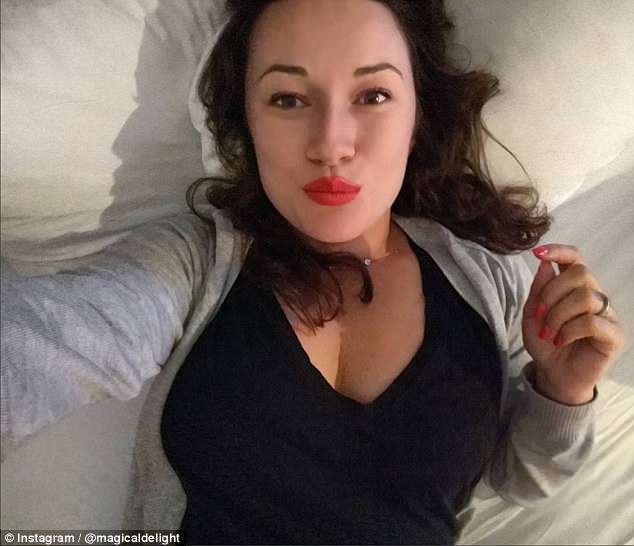 Ades ‘turbulent’ love affair with her unwilling male target came after meeing her unnamed Paradise Valley ‘love interest’ through a dating site in 2017. ABC15 reported the two going out together on a single date, only for Ades allegedly falling in love (with an illusion) and actively pursuing the un-named man. The victim said Ades, who described herself on social media as a makeup artist, inundated his phone with text messages, sometimes sending as many as 500 a day. Jacqueline Ades police bookings. Image via Aricopa County Sheriff’s Office. 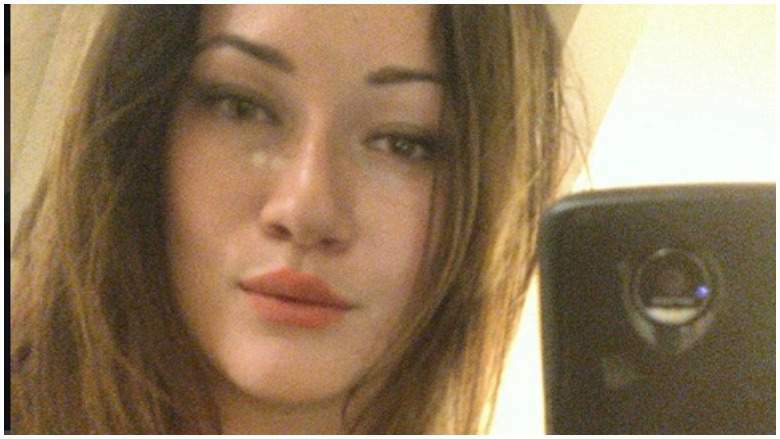 Jacqueline Ades Phoenix female stalker: Almost very Fatal Attraction. Matters escalated when Ades’ victim last month spotted the 31 year old remotely after checking his home surveillance video. Officers went to the home where they found Ades taking a bath in the man’s tub. In her messages to the object of her desire, Ades allegedly favorably compared herself to Adolf Hitler while praising the Nazi leader as a ‘genius,’ as Fox 10 reported. Jacqueline Ades: ‘I was crazy in love’. But brace yourself. There’s even more. 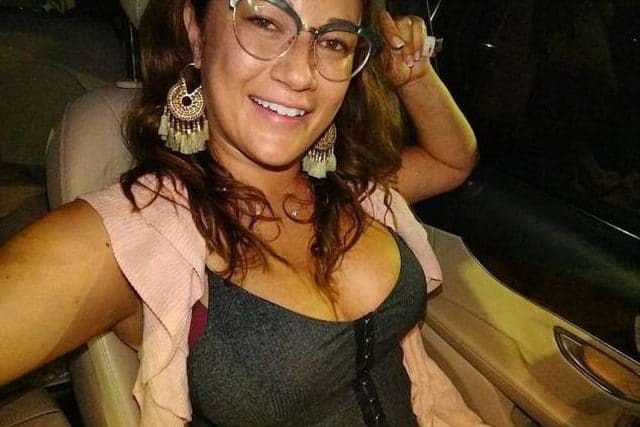 Come last week, Ades showed up at her victim’s business in Scottsdale and falsely claimed to be his wife, ultimately leading to her arrest in Phoenix. After being taken into custody, Ades insisted she had no intention of hurting her love desire, saying that she only sent the threatening texts to him because she loved him and feared that he would leave her. Ades later acknowledged that her statements were ‘crazy.’ She was ordered held without bond. Isn’t it terrible when we fall ‘crazy in love’ …. ?